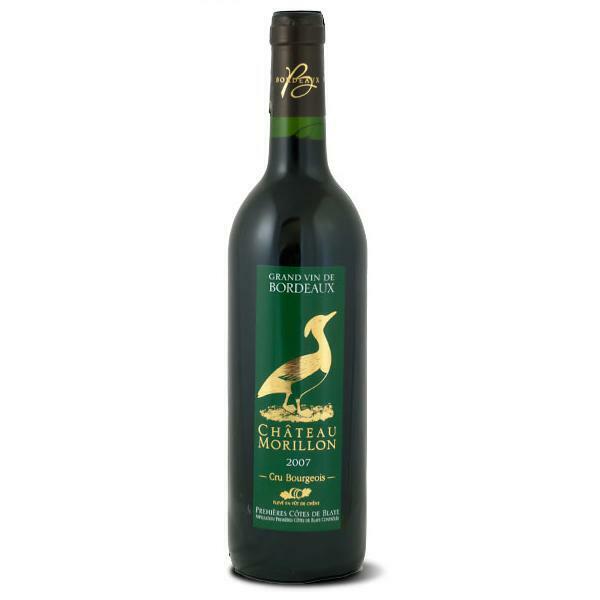 An elegant, rich, award-winning organic French wine. This product comes from Campugnan, a small, peaceful town in sunny South West France surrounded by vineyards and forests. Chateau Morillon was the home of Brun de Gadeau, Lords of Campugnan and the Knights of St. Louis . Today, Chantal and Jean-Marie Mado who respectfully work the land, producing outstanding wines. The Campugnan area has a very specific climate. With the help of the sea air, the Gironde climate is particularly mild, favouring the production of the best wines, including the AOC Premières Côtes de Blaye. The vineyard mainly grows Merlot, Cabernet and Malbec in an argilo-calcareous soil. Bordeaux Château Morillon won a silver medal at the 2013 Concours Général Agricole in Paris and was selected for the 2013 Hachette Wine Guide. This wine comes from vineyards grown without the use of chemical fertilisers, herbicides, insecticides or other synthetic chemicals in accordance with the legislation on organic production. Colour: deep purple with garnet hues. Taste: charming, with powerful, round tannins. Grape variety: 80% Merlot, 15% Cabernet, 5% Malbec. - Fermentation: 5 weeks in stainless steel tanks. Alcohol not to be sold to under-18s. - Serve between 16 and 17°C. - A perfect accompaniment to white, red, and grilled meat dishes. Greenweez has chosen a selection of organic wines, just for you! In this section, you will discover a range of red, white, rosé, and sparkling wines, all made organically. Whether you are an occasional wine-drinker or a connoisseur, Greenweez invites you to discover a variety of flavoursome French drinks.